This is a particularly good news for imported cosmetics brands, which have been enjoying 40% growth recently. This sector will maintain a growth between 30% - 40% in the next couple of years. Chinese government announced on May 30 that it will significantly lower import tariff on many consumer goods. Among them, the average tariff rate for detergents, cosmetics such as skin care and hair care products, and some medicine and health products will be cut from 8.4% to 2.9%. This is apparently a good news for imported cosmetics products. 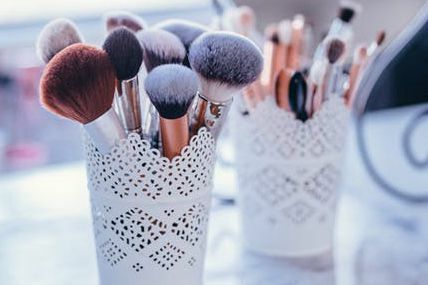 According to Kantar Worldpanel data in recent years, imported cosmetics products have been enjoying very healthy growth: in 2017, the sales value growth of imported cosmetics products, mostly premium ones, reached 40%. Thanks to the new tariff cut, we expect this trend will continue and this sector will be able to maintain a growth between 30% - 40% in the next couple of years. Some typical brands are Lancôme, Estee Lauder, SK II, Dior, Saint Laurent and Shiseido. From the origin country perspective, whether the actual products are produced in or outside of China, brand owners have to remember that many Chinese consumers have very consolidated opinion about cosmetics from this country. For example, Japanese products increased their sales in 2017 because Chinese consumers believe Japanese goods are meeting their need of health and professionalism. Japanese cosmetics are widely acknowledged for addictive-free features and outstanding functions. The growth of European and US brands came against the backdrop that increasingly sophisticated Chinese consumers are entering into previously niche categories, such as essence and eye-cream. European and US brands have accumulated many signature formula in these categories and have won the votes of many Chinese consumers. Their usage of social key-opinion leaders (KOLs) has also contributed to their stellar performance because colour cosmetics categories are high-involvement sectors and consumers are willing to spend a lot of time to learn from KOLs. South Korean brands went through a challenging period of time in China, but they weathered it by developing lower-tier and online channels as well as launching “fast beauty” hit products. The macro trend of China’s cosmetics market is favourable to imported products. The rebound of China’s FMCG market was supported by premiumization. Personal care sector outperforms other categories with skin care and makeup products the biggest opportunity to grow. If we look into the details, Kantar Worldpanel’s Beauty Panel has shown that young females in their 20’s are the market leader and growth driver. They are exposed to and become fans of cosmetics products on mobile APPs, creating numerous instant purchasing occasions. They’ve also formed a habit of making small but frequent purchases, which is a stark contrast with shopping patterns of 40 and above female buyers, who prefer to hoard up products in much fewer purchases to drive down per unit cost. The rise of vertical e-commerce sites and mobile apps has also created rooms for lesser known foreign brands to establish themselves. Thai brands, for example, became a surprise leader in sales growth because the humid and hot weather has fostered long-wearing products with outstanding oil-control functions. These are also pain points for many young Chinese consumers. Geographically speaking, lower tier cities experienced a big boom of consumer spending. A, B, C and D-tier cities have all posted per person spending growth rates more than doubled that of Key cities (Beijing, Shanghai, Guangzhou). Chinese consumers’ pursuit of healthy skin condition has blurred the definition of traditional functions. For example, new “anti-age” means repairing skin barrier; new “oil control” means improving water-oil balance; new “whitening” means healthy glowing skin. As Chinese consumers increase their knowledge about skin care and makeup, they are choosing more professional products more proactively. Kantar Worldpanel Beauty Panel data has shown that the once popular easy-to-use BB cream and CC cream kept losing in penetration rates, while more professional products, such as cushion and foundation have been bought by more consumers. They have also added more pre-steps to create flawless look. More Chinese women are now showing off their personality by using fragrant products and bold makeup colours. Brighter and bolder lip colours and eye shadows have jumped in occasion index. To summarize, lower tariff definitely will make imported cosmetics more competitive in prices. But the more fundamental factor to decide a brand’s performance in China is their access to reliable market data, and their understanding of real Chinese consumer needs. Data-based consumer insight is the ultimate short-cut to win in China.